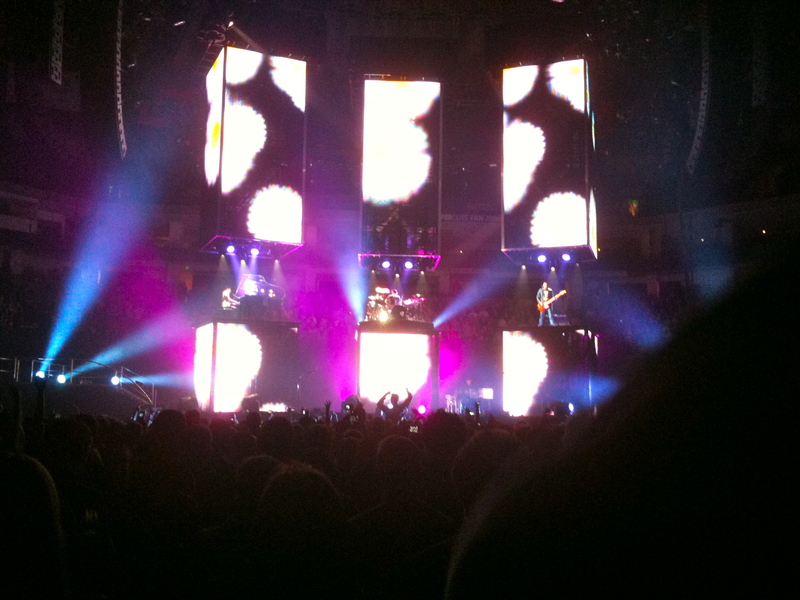 Muse, the hard rocking band that has taken the world by storm over these last several years appeared at Oakland Coliseum Wednesday April 14, 2010. Older work by this band focused on rapid-fire metal compositions, but more recently they moved into more of a glam-alternative-stadium rock direction which mixes in elements of progressive and classical music. Put together Queen, Green Day, and Pink Floyd with an occasional disco beat and you get a new unique sound achieved by Muse. Wednesday night the band focused on more recent releases, 2006’s Black Holes and Revelations and last year’s The Resistance to deliver the right mix of these varied styles. The show was simply spectacular. 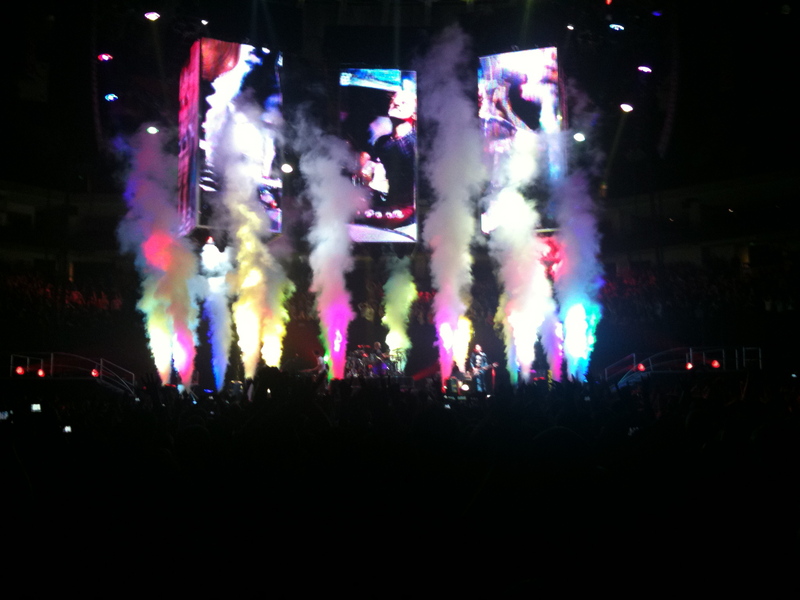 The staging was unique as each core band member appeared within a set of three huge towers stretching from stage to ceiling, on which live and collected images were projected to stunning effect. The lower sections of these towers were lifts which alternately rose and lowered to embellish the stage below. The music was equally exceptional, as singer Matthew Bellamy (voice, guitars, keyboards) manages to hit all of his notes and somehow preserve his vocals through long tours, partly due to the band’s deft management of sound dynamics. Outstanding band mates Christopher Wolstenholme (bass), and Dominic Howard (drum) also take leads, but alternately lower and raise the volume during verses and choruses so everything can be heard. Only complaint would be that Matthew spent too little time at the piano this time around, given he is an excellent pianist obviously influenced by classical composers such as Rachmaninoff . Also at times one could say Muse is almost too perfect live, threatening to lose a bit of the emotional punch of the tracks. Given the staging and performance itself is so expansive and aggressive, these issues are overcome making this spectacle truly amazing and highly recommended.